Coupling , Half Coupling and Caps. Square Head Plug, Hex. Head Plug, Round Head Plug, Hex. Head Bushing and Flush Bushing. All Welding Outlets incl. Weldolets, Sockolets, Threadolets and Brancholets. ASTM A 105 , ASTM A 350 LF1, LF2 and LF3. ASTM A 694 F42, F46, F52, F60, F65, F70. ASTM A 182 F1 , F11, F22, F5, F9, F91, F92. ASTM A 182 F304/L, 316/L, 304H, 321/H, 347/H, 904L. ASTM A 182 F309, F310, F310s, F310H. 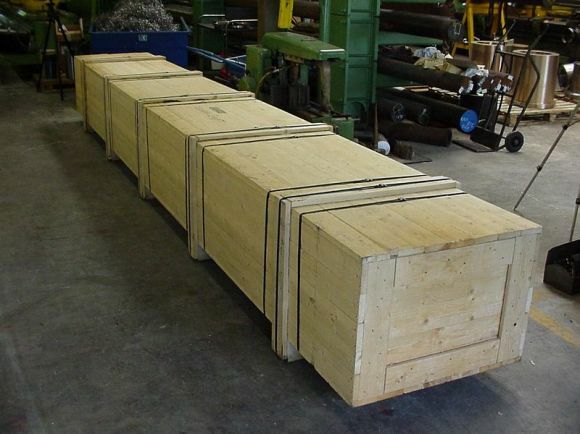 ASTM A 694 F51, F52, F53, F54, F44 , 6 Moly, Duplex UNS 31803 and Super Duplex UNS 32750 and UNS 32760. Incolloy 800H Stress Collars (see Picture). Cupro Nickel Alloys 70/30 – 90/10 – Alu-Brass – Naval Brass and more. Aluminium Alloys 2024, 7075, 6061 and more. 25-22-2 (UNS No. 31050), 15-5Ph , 17-4Ph (AISI 630), A439 grade D2 , Wnr 1.6368 / Wb36. Titanium grades 1 upto 11.